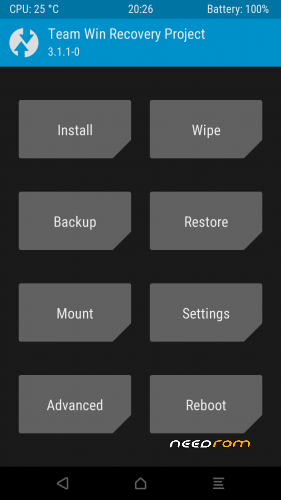 This is a TWRP recovery made from source. Use the'Modded' version if you want to install this recovery on a phone with a reformatted system partition. You can't boot into recovery by keys. You need to use ADB with this command: "adb reboot recovery"
The screen becomes irresponsive on mine, any solution in mind?